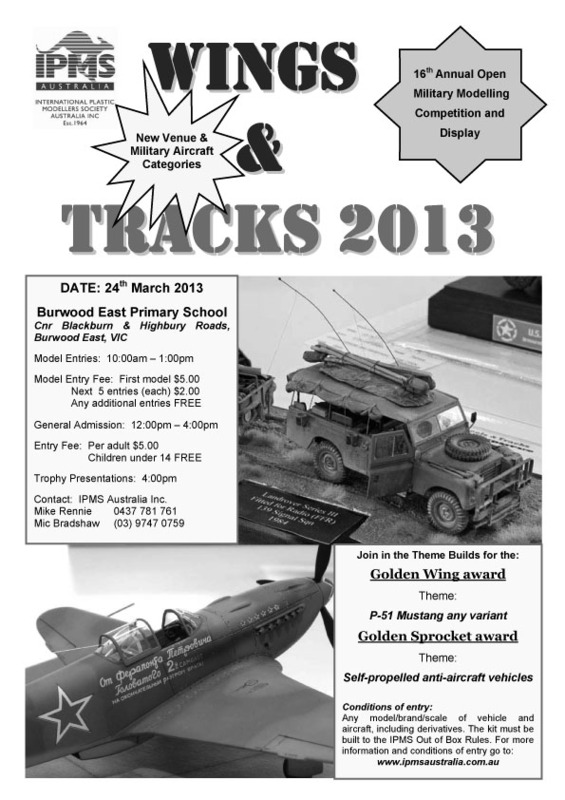 Tomorrow is the Wings and Tracks Model Competition and display. Come along to Burwood East Primary School on the corner of Highbury and Blackburn rds, in Burwood. A range of traders will be in attendence and military models of all types.